Phantom power supply is widely used in audio industry to power the active microphones over single audio cable. 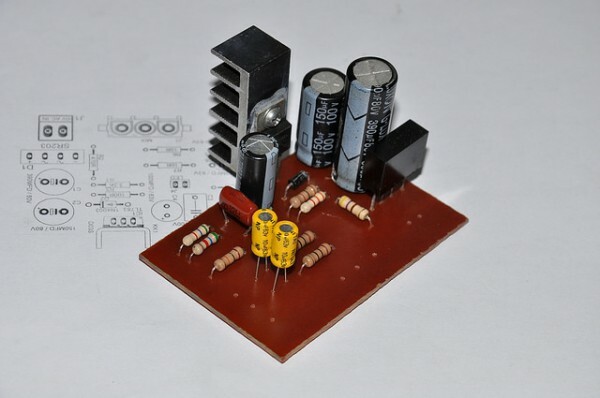 Most of the phantom power supplies deliver 48V DC over the balanced audio link and power supply unit described in this article is also based on same technique. Phantom power supply in this article is based on TL783 high voltage regulator IC and 230V – 50V step down transformer. Like most of the phantom power supplies this power supply is also design to connect in between active microphone and audio mixer devices. Project info at Dilshan Jayakody’s blog. This entry was posted on Wednesday, October 28th, 2015 at 11:44 am	and is filed under power supply. You can follow any responses to this entry through the RSS 2.0 feed. You can skip to the end and leave a response. Pinging is currently not allowed.